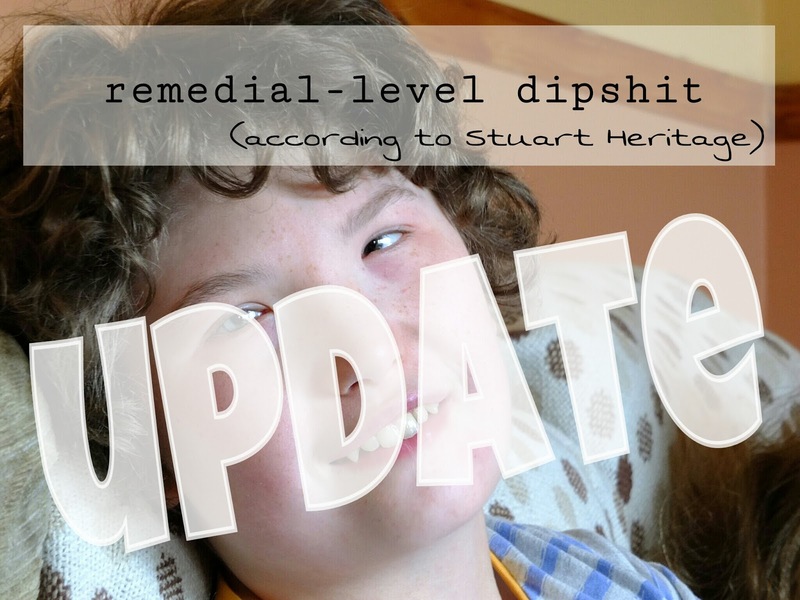 I wrote last week about my thoughts in response to a Guardian article written by Stuart Heritage in which he used the phrase "remedial level dipshit". 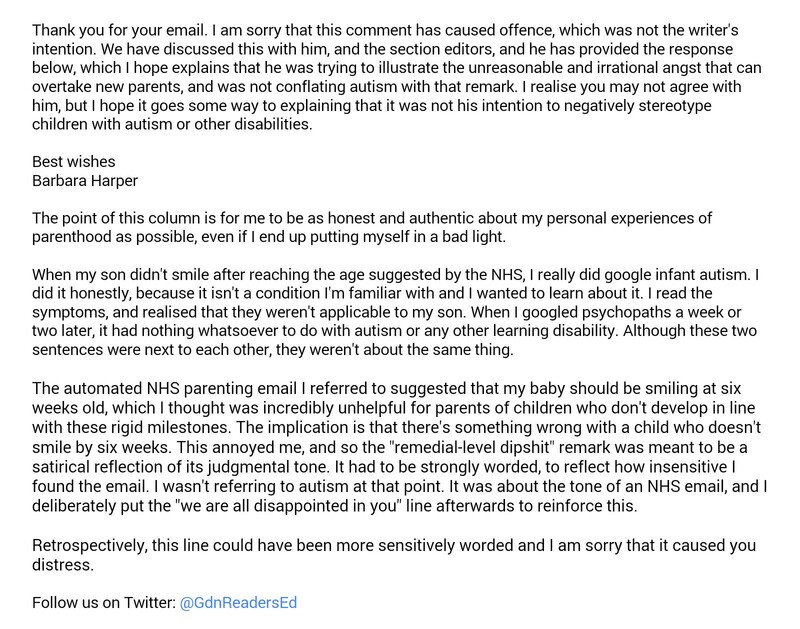 Having written my rant, which was read by a lot of people after it was picked up on twitter, I felt it only fair to publish the response I received to my complaint to the readers editor. I have checked with Stuart and have his permission to share this.